I'm counting this day as your day of arrival into the city, so this probably won't be a full day. Depending on what time you get to your hotel and where you're staying, you might have the afternoon/evening available to explore. 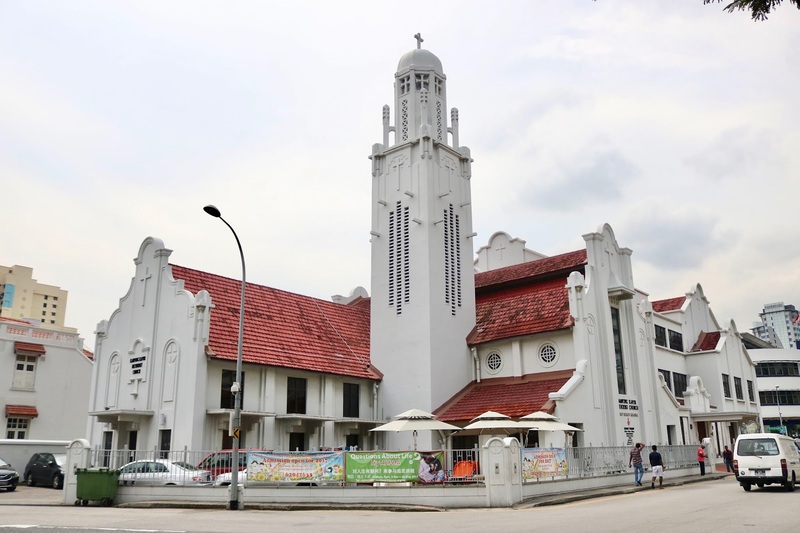 We stayed in Little India which is one of the central districts- it has its own train station linking you to the rest of the city and is just over a 10-minute drive from Changi Airport. This is a no-brainer as it allows you to scout out the area for public transport and good places to get food close by. I recommend staying in any of the districts that are on the train map as it allows you to stay in an area that is a bit cheaper all while being able to get into the centre easily. 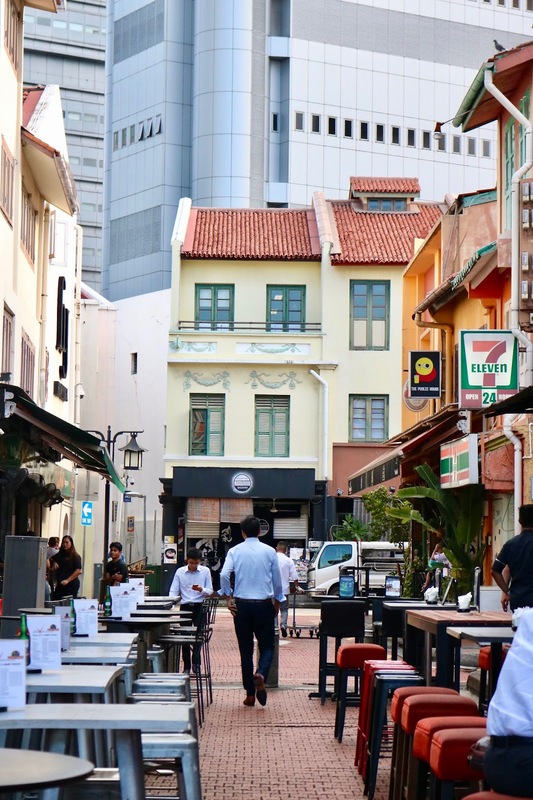 We knew from the get-go that Little India was full of culture and places to explore, so we headed out straight away to some of the food locations we had heard about. 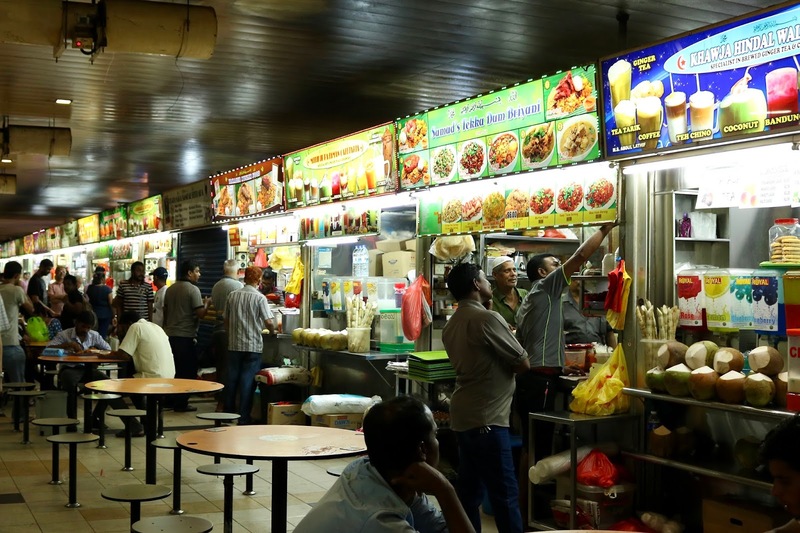 We headed for the Tekka Food Centre, a complex of markets and shops and a local haunt for some of the best street food. Sure, it may not be the most glamorous of places, but this is the real part of Singapore once you brush away all the luxury hotels and skyscrapers, and the food is rather delish. Once you've filled your stomachs and rested up from your inbound flight, hop on a train down to Marina Bay Sands, the postcard of Singapore. 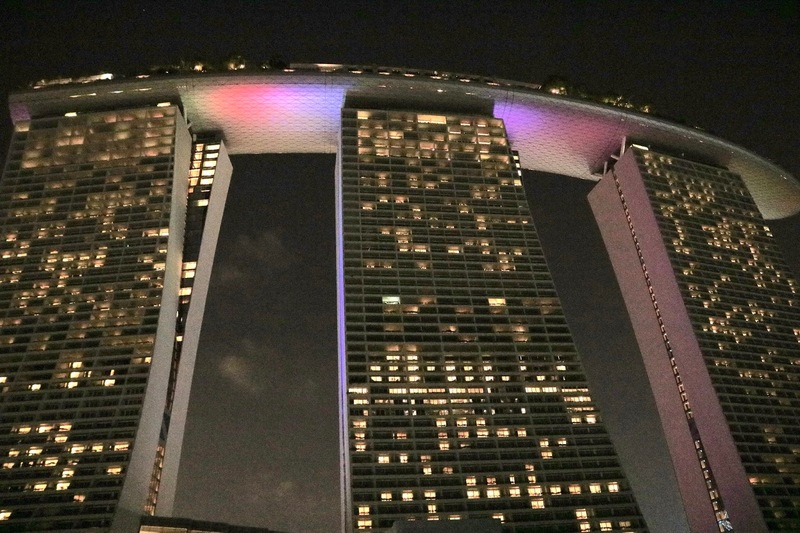 Take in the stunning architecture of the hotel in all its glory- you can pay for a ticket to go up to the SkyPark on the top floor for a stunning view of the city if the room rates are a little out of your price range. As well as being a hotel, there is also a huge shopping centre attached to it, where you can shop anything from designer clothes, beauty, macaroons, records and tea, as well as a rather cool Marvel cafe. If shopping isn't your thing, then there is an ice rink and you can even take a gondola along the 'river' on the ground floor. Next to Marina Bay Sands is the Gardens By The Bay, which was our favourite place to go in the city. 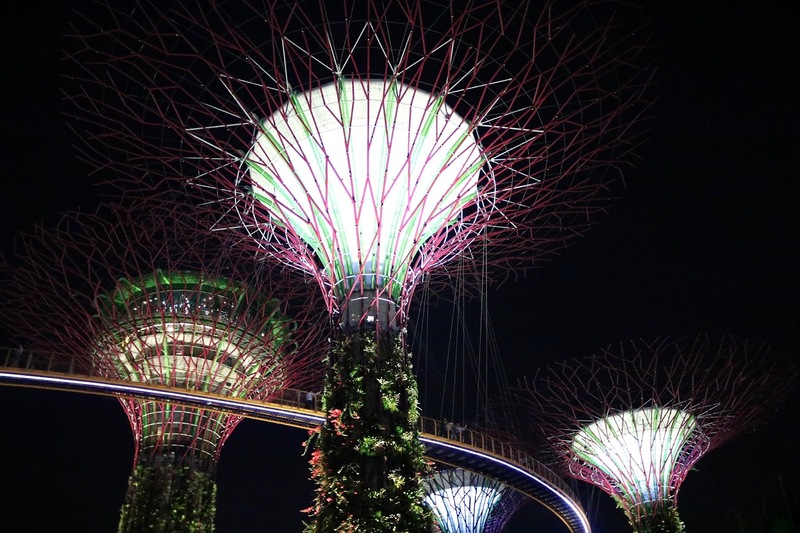 The gardens are home to the SuperTrees, huge structures with real plants winding up the side to create 'vertical gardens'. Every evening they put on a light show to different pieces of music which never fails to wow each time, and whenever we went there was always such a lovely atmosphere with couples and families walking around the gardens. As well as the SuperTree Grove there are the conservatories housing the Flower Dome and Cloud Forest, and you can also buy a ticket for the skyway canopy walk among the trees for another view of the gardens. 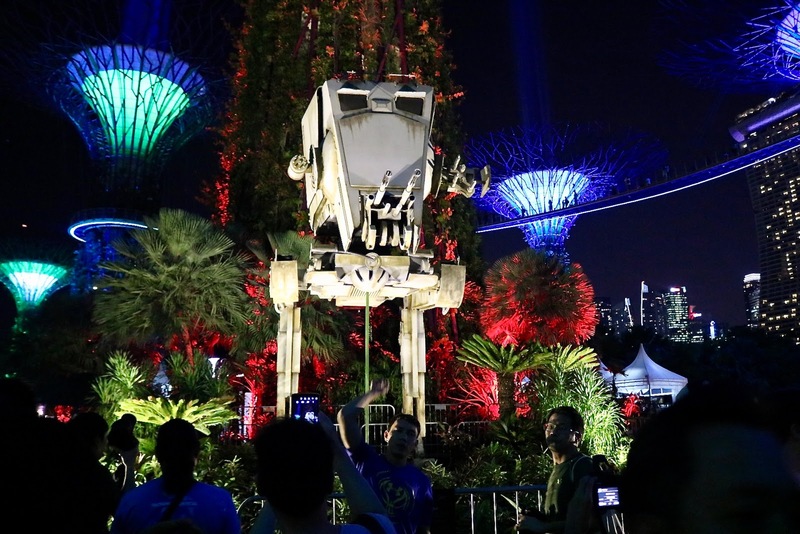 If you're ever in Singapore around Star Wars day (May 4th) then you need to make the Gardens light show a definite stop! The show is done to the soundtrack from the films, and they have lots of stools and entertainment going on to celebrate. 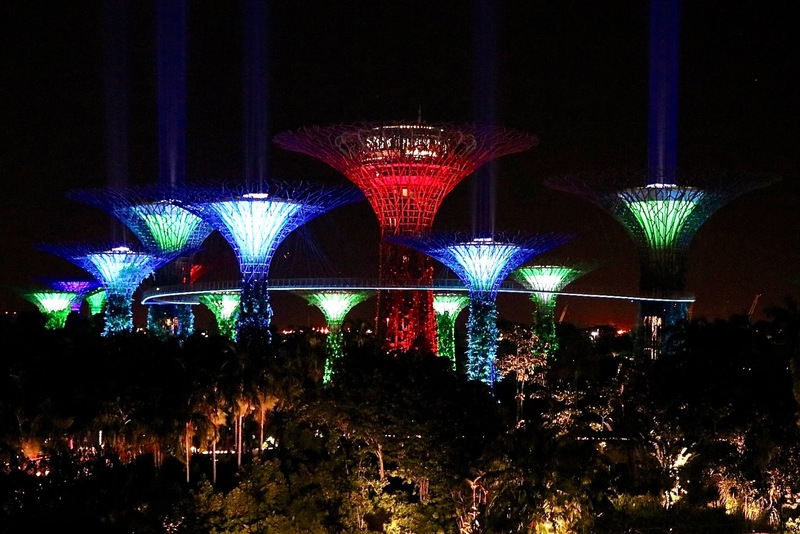 You can enter the Gardens By The Bay for free but will need to pay for a ticket to visit the Flower Dome, Cloud Forest (just over £15.50 for two conservatories) and SuperTree canopy walk (£4.50). Now that you've had a chance to have a full night's sleep after arriving in Singapore, it's time to get out and explore the city! 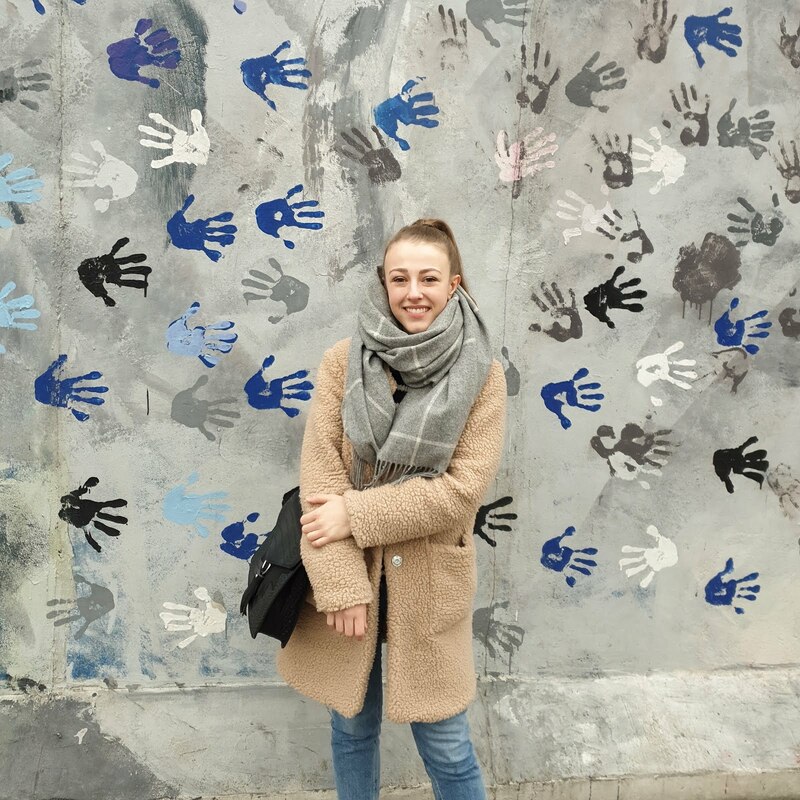 It's really easy to get around by foot or by hopping on the train, but walking around means you get to enjoy the different architecture in each district, and you might even discover a little unknown gem off the tourist map. 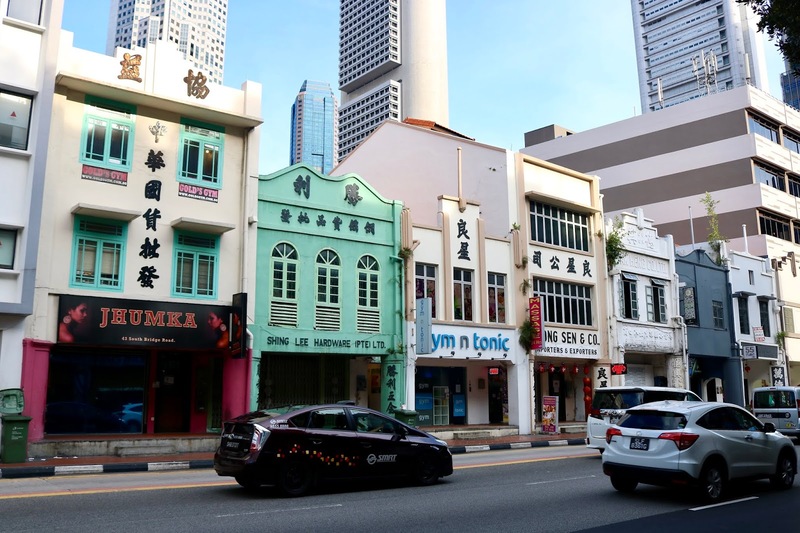 As we were staying in Little India, we walked south towards the Orchard Road area, which is known for its shopping centres and universities. Among the huge buildings, there are a couple of little places where you can escape the crowds in parks and museums. One of the those was the Cathay Film Gallery in the Cathay mall. Tucked away on the second floor, this tiny gallery is free to enter and displays the history of film production and distribution in Singapore including posters, cameras and costumes. We were completely by ourselves here, and it was a welcome break from the heat outside. From there, you can walk along Orchard Road itself to do a spot of shopping. This road is probably the place to do your shopping and you are really spoilt for choice when it comes to the range of shops. 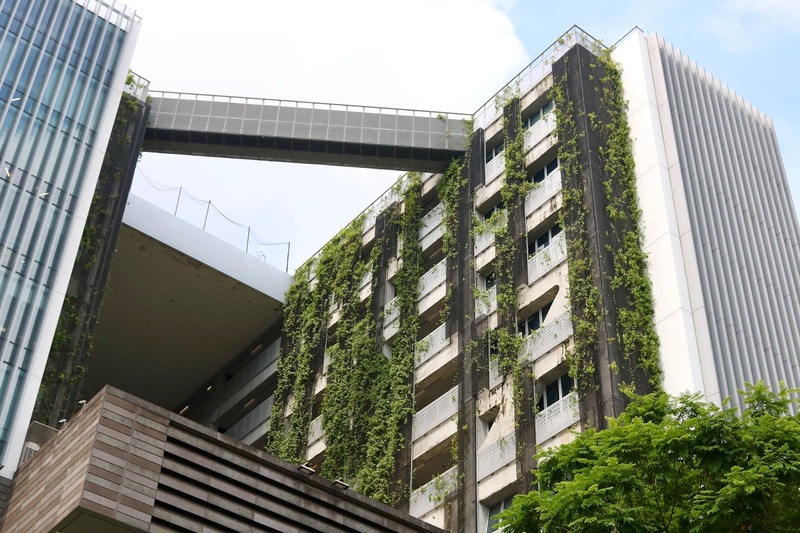 If shopping isn't your thing, then carry on down to Fort Canning Park. 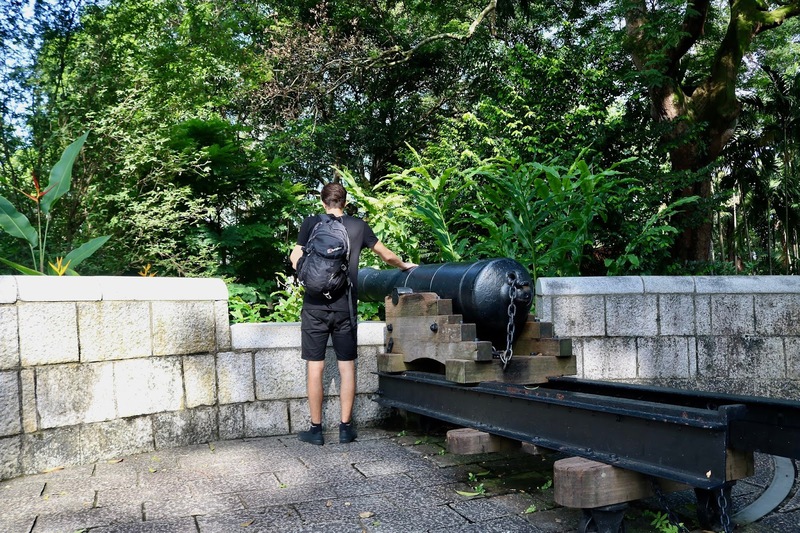 This historical park was made famous in the Second World War as it was the site of the worst British loss in Asia when the army surrendered to the Japanese. As well as the beautiful gardens you can also pay to explore the Battle Box, a network of underground tunnels and bunkers used during WWII. At 18-acres, you've got a huge area to wander without it being crowded. The tour for Battle Box lasts just over an hour and entrance costs just under £10. Just across the river from Orchard Road is Chinatown, another of the culture-rich districts in the city. Just like with other Chinatowns across the world, this one is filled to burst with classic Chinese architecture and temples. You can spend hours walking around the streets just taking it all in, but if there are specific sites that you want to see, then you have temples and museums galore. The Sri Mariamman Temple is Singapore's oldest Hindu temple with a six-tier colourful entrance featuring sculptures of Hindu deities. This is a peaceful sanctuary amid the bustling city, but depending on the time of day it can get busy. Entrance is free but a donation is asked for if you want to take photos. The Buddha Tooth Relic Temple (free entry) is apparently home to the left canine of Buddha. We didn't get a chance to visit and see for ourselves, but I've heard it's definitely something to see if you're interested in Buddhism. As well as seeing the tooth you can take a 2-hour tour, again for free, around the rest of the museum. Right next door is Thian Hock Keng Temple which you can again explore for free. This is Chinatown's oldest and most important temple and the architecture is truly beautiful. Again we didn't get the chance to take a look here but I've heard this is pretty quiet most of the time. 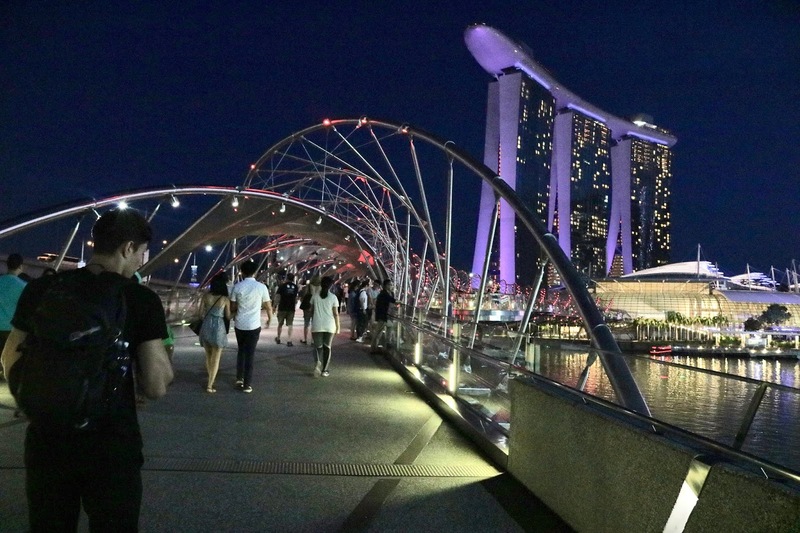 Heading back on yourself you will find Clarke Quay, which runs along the river towards Marina Bay Sands. This area was one of my favourites with its string of riverside restaurants and cafes along the waterfront, and tiny shopfronts lined up in pastel shades. 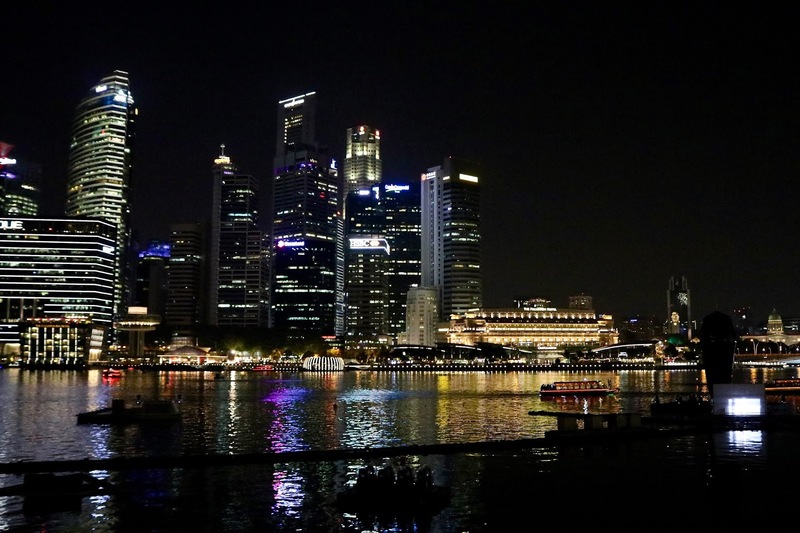 You can grab a bite to eat here, take a boat ride along the river or just wander around and take in the views of the National Gallery, Asian Civilisations Museum and the Supreme Court across the other side of the river. After this you're pretty near Marina Bay Sands again, so from here you can take a look at the shops or head to the Gardens By The Bay. If theme parks and big attractions are your thing, then make sure you dedicate at least one day to explore these places. 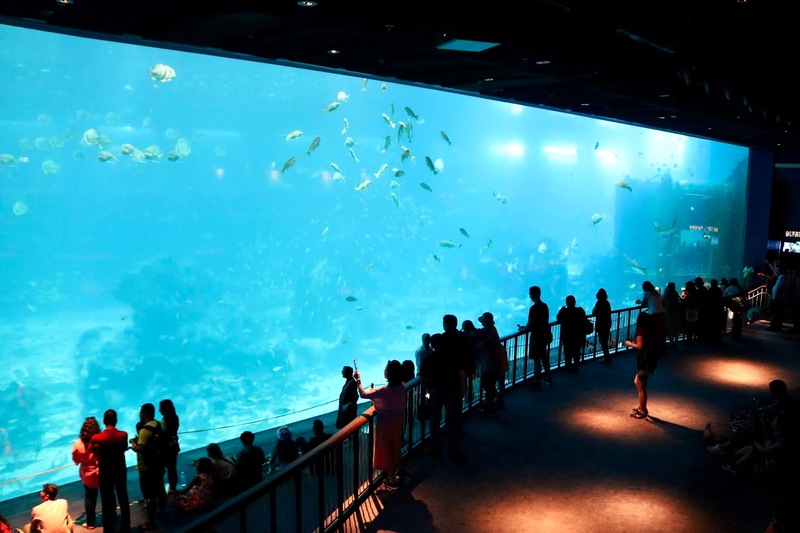 Along with the Singapore Zoo, Cable Car, and Jurong Bird Park, you have also got Sentosa Island which is home to Universal and SEA Aquarium. Universal Studios needs no introduction. Packed with rides, activities and shows, this place will certainly bring the inner child out of you! Forming a small loop, you find yourself stepping into each fantasy world after only a couple of hundred yards. You have everything from New York, to Ancient Egypt, Jurassic Park and (my personal favourite) Far Far Away from Shrek. 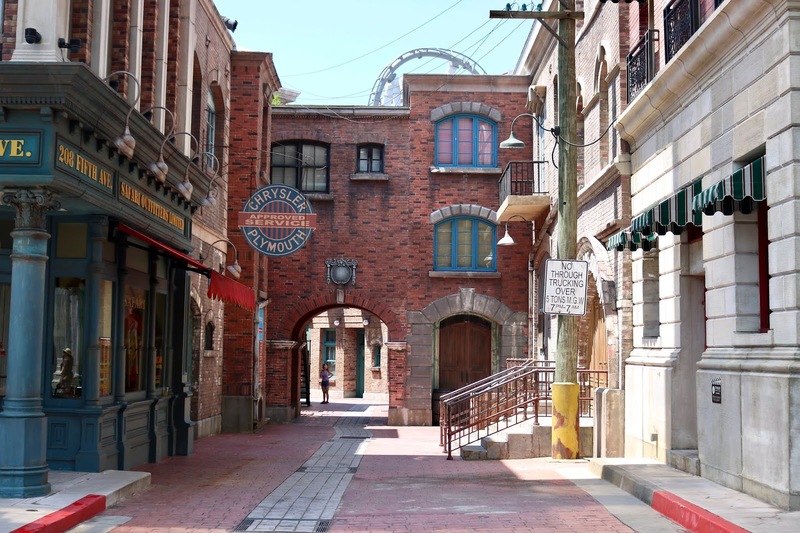 Now, I've never been to any big theme parks like this before so maybe I was expecting more, but if you can face the long waiting times for rides then you can easily spend a day here and not do everything. However, we found that we had made our way around in only a couple of hours. I'm glad that I went and got to experience it, but I would definitely save my money for the US Universal or even Disneyland. We managed to get a discounted ticket from our hostel for just over £36, but normally an adult day ticket is around £45. TIP: don't fall into the trap of eating inside the park as the food is seriously overpriced (we made this mistake). Just outside the entrance are a number of shops and restaurants that are slightly cheaper with better quality food. For us, the SEA Aquarium was a place we enjoyed a lot more than Universal, despite the crazy crowds. With over 1,000 species, the aquarium lets you get up close to some amazing marine life, some found locally and some from further afield. The fun thing we found was seeing some of the fish we had seen in the wild while snorkelling, but it was a shame to see some of them in small tanks. However, they do have a fantastic conservation programme and in the middle of it, you'll find the huge Open Ocean exhibit, a 36m wide tank replicating the ocean floor. 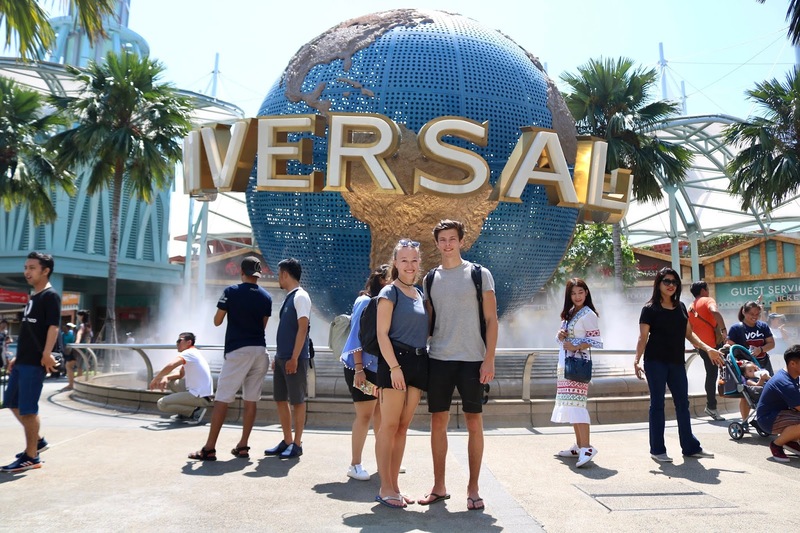 Again, you can easily spend a couple of hours or more exploring the aquarium, so we managed to fit both this and Universal into one day. 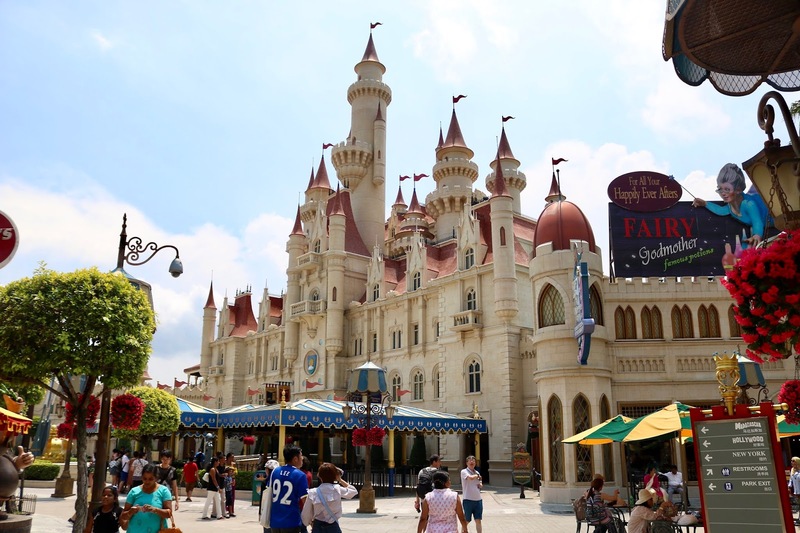 However, if you feel like you would want to spend more time on Sentosa Island, then maybe book in a two-day pass to the attractions. Again we got a discounted ticket for £15.50 which was combined with our Universal one, but an adult ticket normally costs around £20. If there is a day when it is rainy, unbearably hot or you're there on a Friday, then this is the day to wander around the many museums and art galleries in the city. You can easily fill most of a day doing this, and on Fridays, most of the museums have half price entrance fees. The Asian Civilisation Museum (normally £4.50 but half price Fridays between 7-9pm) showcases the history, cultures and religions of Asia. This is the sister museum to the Peranakan Museum below, so definitely try and get to both. 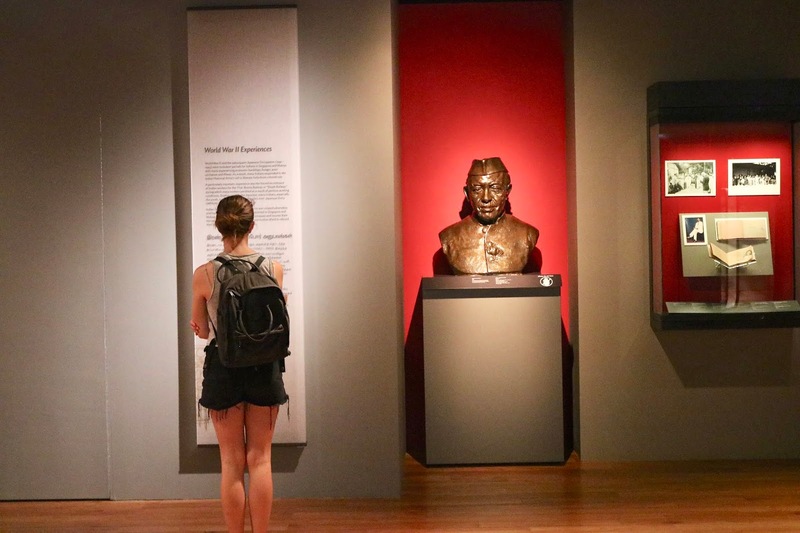 The Peranakan Museum (normally £3.30 but half price Fridays between 7-9pm), like many of these museums around Southeast Asia, explores the heritage of the Peranakans (Straits Chinese descendants). The initial rooms show interviews of modern-day descendants and then goes on in detail to cover everything from the wedding ceremonies, to how they ate, and what they wore. We found this just as interesting as the Peranakan Mansion in Georgetown, Malaysia as the information boards went into as much detail as our guide had. The Singapore Art Museum (normally £5.50 but free Fridays between 6-9pm) houses some of the best contemporary art in Southeast Asia. This was unfortunately closed for renovation when we visited, so check online before you go to see if it is now open. The Indian Heritage Centre (£2.20 entrance fee) doesn't offer half-price entrance on Friday's, but when we visited it was in the middle of Singapore Heritage Festival. Over three weekends the city celebrates its heritage and culture with free guided tours, exhibitions, talks and the Heritage centres around the city open their doors on selected days for free. We happened to arrive at the Indian Heritage Centre near our hostel on their free open day, so decided to pop in and check out the history of the incredible Indian heritage in Singapore. If the weather is good and you're more of an outdoors person, then hop on the train to the Botanic Gardens. This place is huge, and on a sunny day, you can sit with a picnic and just watch the world go by. We spent a good number of hours here on our last day, but be warned- this place is huge! At 74 hectares, we found we only got to explore a small part of this place before melting into a little puddle due to the heat. Make sure you take a look at the primaeval rainforest which is home to some rare vegetation. 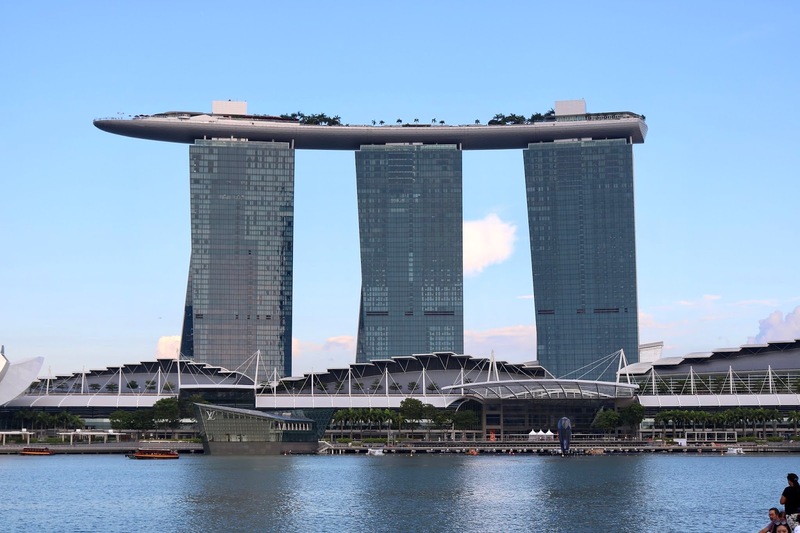 Hope you found this 4-day itinerary for Singapore helpful! Have any of you been to Singapore, and if you have what were your favourite places to go? Are you continuing onwards from Singapore to any other countries? Here's a great Sri Lanka itinerary that I'll be using when I visit. Visited Singapore back in 2008 on our honeymoon cruise so it was nice to see some of the bits of the place we didn't get a chance to see then in your post. We did tour the Chinatown area and saw around the Chinatown Heritage Centre which was quite an eye-opener as to the size and state of the "houses" that the workers shared; worth a look if it's still around. Main draw of our trip to Singapore, though, was to have a Singapore Sling in Raffles. Had to be done, great experience. Surprisingly fun part of our day was touring the Selangor pewter place then getting a chance to make our own pewter bowls although the fun may mostly have derived from having been in Raffles beforehand. We're heading back to Asia this year for a 10th anniversary cruise and had wanted to hit Singapore again with the intention of seeing a few of the things you've listed here but we couldn't quite find the right itinerary so we're skipping it this time around. Maybe for our 20th.